Welcome to Squills, the official news bulletin of the Young Writers Society! What will you find here? Tons of interesting news about YWS, including but not limited to: articles about writing, art, and the world of humanities; interviews with YWS members; shameless plugs; link round-ups; and opinionated columns. And where will all of this come from? Take a look at our fantastic creative staff! Of course, our content can’t come only from our staff. We also depend on you to help keep Squills successful. You’re all a part of a writing community, after all. If you’re interested in submitting to Squills, pop on over to the Reader’s Corner to find out how you can get involved by contributing an article or participating in other Squills activities. You can apply to become a Squillian Journalist by submitting a sample article to Squillsbot today! Well, that’s all I have for now. So, what are you waiting for? Enjoy! The Knights of the Green Room (KotGR) have been busy these last few months, here's your latest updates from the Knights. If you see some of your friend's names below, make sure to stop by their wall and offer a congratulations or a "huzzah!". 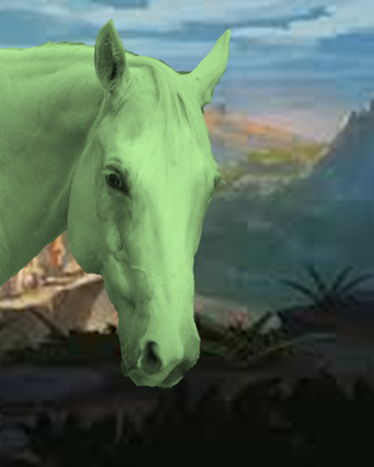 You'll remember from the last few weeks of Squills Updates that The Commander has been looking for his horse the last few weeks. In fact his search even delayed his presence at the latest ceremonies. We are happy to report though, that the horse was found by Knight EagleFly this last week. Way to go EagleFly! Horse pictured below under spoiler. The Green Carpet was unrolled for two newly knighted members this week, who advanced from the rank of Squire by completing 10 logged Green Room reviews. Congratulations to Knight Oliver (@Cloudkid) and Knight Jster (@jster02). The other big news around the Green Room, is that Knight BlueAfrica achieved a never before seen Knight Achievement - by completing her thousandth Green Room review - she unlocked the Dragon Badge. This also gives her the title of "Legendary Knight" and gives her the credentials to capture and train her very own dragon. Yes, as mentioned above, Knight BlueAfrica achieved a badge that was not even previously mentioned in the official information lists - with this ground-breaking achievement The Commander even gave an Official Notice of Significant Achievement . Knight BlueAfrica was willing to answer a few questions at a Press Conference following the official award ceremonies. Squills: Congratulations on earning your latest badge Knight BlueAfrica, it took one-thousand reviews I hear - how did you get the motivation to do that much reviewing? Knight BlueAfrica: Thanks! Motivation comes and goes, but you have to remember, this was a thousand reviews over the course of like five years of being a Knight - although most of those reviews happened probably in the last two years, since at some point early on in my KotGR career I sort of forgot about the whole thing and abandoned my thread for a while before really doubling down on reviews. S: Now that you've achieved the last official badge in the line-up, do you plan on continuing reviewing and being involved with the Knights of the Green Room? Knight BlueAfrica: Of course! It may take me a while, but I'm now on the quest for the Holy Grail. S: Wow, I have only heard legends of a Holy Grail, best of luck on that quest. And lastly, what would you say to people who are interested in the Knights of the Green Room but haven't jumped to get involved yet? Knight BlueAfrica: If I can be dramatic for a minute, let me quote Britt-Marie, in Fredrik Backman's novel Britt-Marie Was Here: "You have to understand that when one is just standing there looking, then for just a second one is ready to jump. If one does it, one dares to do it. But if one waits, it'll never happen." And that wraps up this weeks updates! If you'd like more information about you can get involved with the Knights of the Green Room here are their Information Postings . And stay tuned for the next Knight Update! Well, folks, it’s been a while since we’ve had An Artist Answers, so Squills is back with another! If you aren’t aware, this site has an entire Art & Photography forum, where you can share all artwork of yours! Just by creating a new topic, you’re able to log all of your pieces and see other people’s, too. In the past we have had interviews with artists who draw, but this edition, we have a photographer! This week Squills reached out to @hiraeth. Let’s see what they have to say! Squills: How did you get into photography? hiraeth: When I was fifteen, I went on this vacation to Shimla and Manali (hill stations, if you're wondering); and oh my god, everything was so beautiful. That's when i first took out the camera and began clicking away. I was lived in a city, so imagine how amazing it was up there in the mountains. The photos came out so beautiful, and I became addicted to the camera; i spent the remainder of the trip taking pictures of everything and everyone. After that, it became a hobby, I guess. S: That's so cool! What is your favorite thing to photograph, and why? h: I take photos of all sorts of things. The prettiest are those of the flowers: of my verandah and the terrace, which are also the pictures I post in here the most. But what i best like to take pictures of are people and stationery. S: What is the best part about photography? What is the hardest part about it? h: The best part is obviously when I look at the clicked pictures; when everything is perfectly cropped and edited. Finished products produced of your own talents (however scarce your talents might be) give you the best feeling; especially when they turn out to be pretty decent. Hardest part? I guess finding the perfect position to take your pictures; and trust me, sometimes you have to get into VERY awkward positions to get a picture right. Also, when I'm taking pictures of roses, I usually get three or four battle scars to flaunt. Above is an example of one of hiraeth’s flower photos. S: And finally, do you have any photography advice for those starting out? h: Hmm... lets see. I'd say the most important thing is patience. Wait for the perfect day, perfect moment, to take the perfect picture. If you feel it is too cloudy, too sunny, don't waste your time clicking away pictures that you're ultimately going to discard. Be on the lookout for beautiful moments that you might want to take a picture of, make sure the light is falling perfectly on your object, make sure your angles are correct. And most of these just come by intuition; trust me, there's no special talent required. And that wraps up the interview with hiraeth! Thanks for sharing the opinions and stories, and great advice, too! If you’re interested in seeing their portfolio of works on YWS, you can check out their photography thread and admire all their lovely pictures. In addition to being able to make your own art thread, you can also share photographs in the Photography Association club. If you liked this week’s interview, stay tuned for the next one! Have a turtle with horns to look at for the next week. I missed a few months of this column, but considering all the interesting history that #classified picked up, I thought it was time for another dive into the history of the site. For this edition we'll be checking out what was going on around the site in February 2, 5, and 10 years ago. In February of 2017, YWS celebrated two featured members! They remained fairly active on the site, so I'm sure you've heard of them. For the first part of the month @Featherstone was featured. Not only is Featherstone known for being one of the junior moderators, and being active in the Storybook side of the site, but she is also the creator of one of YWS's most active clubs - Role-Play Geeks. Featherstone also has posted about a bazillion times in the "Last Person to Post Here" threads - so I think she has a pretty good chance of one day winning that. For the last part of the month, @inktopus was featured. Inktopus is one of the site's accomplished reviewers, and joined in 2016. Here's inktopus' (formerly StormCycle) Featured Member Post . The most-liked prose piece from this month, is a little project you may have heard of called "The Chosen Grandma" by @BlueAfrica. Now having over 42 likes and 24 comments, Blue's Prologue was first posted February 14, 2017. In 2014, February YWS boasted 3 featured members. The first was @Wisteria one of YWS's marvelous poets who can still be found around the site today. Next was @Basil (formerly BasiltheCat) who is still a frequent storybooker. And rounding out the month was @Lucrezia who has written many fabulous YWS works and is also known for running Writer of the Week back in 2014. February 2014 finished with a really strong review day - 715 reviews were written with Team "Majestic Icicles" taking the lead. Also unique to this review day is that according to the Review Day Report the word "Fahrvergnugen" was used 99 times! That's fairly impressive! One of the beloved YWS Writing Olympics coincided with the real Olympics in 2014. This year featured events like write a short story without "e"s, craft a character profile, and write a villanelle. According to the official poll - the favorite event this year was the Scavenger Hunt ran by @Rydia and @Meshugenah. There were over 20 participants, and because of ties there were 5 winners between the 3 top places. @manisha and @Wherethewindgoes won bronze, @niteowl and @AfterTheStorm took silver, and @UshertheThird went away with the gold. In 2009, there was a strange occurrence where one person actually held the Featured Member position for 4 months according to the Featured Member records! I'm not sure why this occurred, but over those months @Rosendorn took the crown. Rosendorn is of course one of the Distinguished Members of the site, and has been heavily involved in the Resource Side of the site. She is also one of the top ten reviewers of all time on the site, having written over 1200 reviews - I'd say she definitely earned that long reign as featured member. I did a sweep of the forums and lit works for 2009 and there were certainly many interesting pieces to choose from. The piece that intrigued me the most though, has to be this storybook "2012". Which was a storybook started by @In_the_Moonlight which depicted a group of teens, enslaved characters, and bullies trying to survive the end of the world. Other storybookers like @Bloo, @Threnody, @lizzifer, @DSF, and @Musicaloo7311. It went on for 7 pages, and it's pretty interesting to read what they thought might happen with the world ending in 2012. You can read through the storybook now and check to see if any of their predictions came true. That's all the history I've got for you this week, did any of it suprise you, or stir up old memories? Feel free to let me know your thoughts over at my Author's Page . If you know of any YWS March news from 2, 5, or 10 years ago, send me a shout-out and I might put it in the next edition of This Month in History. There used to be a time when I would write short playlists for my Pop Culture articles and that time has come again. This week doesn't fit any particular theme, outside of the music creating an upbeat mood. Mood not always coming from the content but just from the speed and the sound of the tune. And also that all of the songs are from 1974 albums. Let's start off with Clap For The Wolfman by The Guess Who , which comes from their 1974 album Road Food. The Guess Who are a rock band from the 60s who managed to survive into the changing times of 70s rock. They're famous in their own right but turned out musicians who went on to bigger projects, one of which leads us to the next song. Roll On Down the Highway by Bachman-Turner Overdrive is from the 1974 BTO album Not Fragile, which also included You Ain't Seen Nothing Yet . This second song is probably their famous in terms of radio play and chances of someone knowing it. Back to rock with Kissin' Time by KISS , which comes from their 1974 album Kiss. If I'm remembering correctly, this should be their first album. There's a good amount of songs on that album but I'm sometimes a bit apprehensive about the content I promote in this article. Meaning it's a very good album but you have to have a certain mindset for it. This chosen song can easily be mixed into a playlist without too much jumping around. Anyone who has ever heard me talk about queer music and rock icons, has probably heard me mention Lou Reed. This song comes from the live album Rock n Roll animal and I chose Lady Day . Unlike most of the other songs on the list, this one probably isn't heard commonly and I wouldn't expect it to be known. Which is, ya know, why I include these titles. Todd is another name that comes up a lot in my recommendations because he's just such a weird and good rocker. One of my favorites from the 1974 album titled Todd is Heavy Metal Kids . I really like the whole album and I've listened to it a lot because of my dad's influence. However like KISS, Todd Rundgren is a rocker that takes a certain mindset. Going into southern rock and blues rock, we have Swamp Music by Lynyrd Skynyrd which is from the album Second Helping. This album is famous for containing Sweet Home Alabama, that one song outside of Free Bird that everyone will recognize. This another favorite album of mine and it doesn't take that much to listen, no matter what your music tastes are. I've never seen much talk in my circles about the album Queen II, which is very different from the Queen songs that made it into the absolutely known list. From this album, I selected White Queen (As It Began) which resonates with me in many ways. Equally good is The March of the Black Queen . I will go ahead and recommend this entire album as well which is a long listen (I haven't listened fully in awhile), but certainly gives off the fantasy vibe. Consider it for your writing playlists. The Grateful Dead are also in my top 5 band list and though they had From The Mars Hotel this year, Jerry Garcia made the solo album Compliments. From this I choose Let's Spend The Night Together . Even with the songs being cover versions, they do have that unique Jerry Garcia effect that comes from any of his performances. And for the last song of the block we go to Rock And Roll Outlaw by Foghat from the album of the same name. Foghat is actually a pretty good band with a solid rock sound, despite being known for a song that everyone recognizes as the generic theme song for cop shows. That's all I've got for this week. If you ever have any suggestions for music themes or songs you want included, make sure to shoot me a PM or drop a conversation on my wall. In this first article of “A Sweet History”, I will be discussing macarons, a pastry that has been blowing up recently in the dessert world. These aren’t to be confused with macaroons which are actually a coconut based cookie. So. Macarons. Two cookies baked with precision and expertise sandwich a ganache or frosting. These almond-flour based cookies, delicate and so very beautiful, are well-known as one of France’s top desserts. But where and how, exactly, did they originate? Well, the cookie part of the macaron was actually created in Italy by Catherine de Medici all the way in 1533. Her husband then became the king of France - likely bringing the macaron from Italy to there. 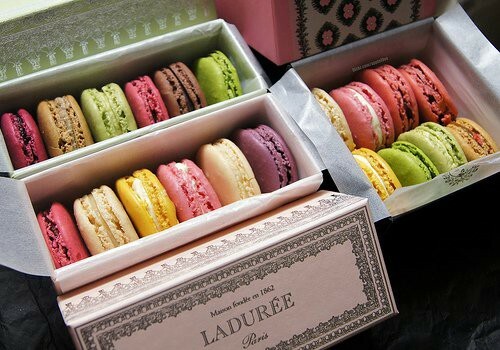 However, France was ultimately responsible for bringing the macaron to its high popularity. In the city of Nancy, Paris, two nuns - descendents of Catherine de Medici - sold macarons during the French Revolution to prevent starvation. Macarons were, originally, a simple cookie made of only almond powder, sugar, and eggs. The reinvention of macarons into the double decker delicacy we have today actually only came about in the 20th century. The idea of filling them came from a man named Pierre Desfontaines, who sandwiched two macarons between chocolate cremes, jams, and compotes. He worked at the bakery La Maison Ladurée in Paris, which still remains a hot spot for macarons today. If you haven’t had the chance to try a macaron yet, what are you waiting for? If you’re up to a challenge, you can bake them (patience is required) or you can always stop by a bakery or grocery store - these delicious cookies are growing in popularity everywhere. Or, maybe you simply learned something new today about macarons that you didn’t know before! The Patrick Melrose novels is a five-part series of books following the life of the titular character, Patrick Melrose, from childhood to his life as an adult drug addict. It features several triggering topics, from childhood abuse to life as a drug user to infidelity and how Patrick copes with what his father did to him when he was a child. I recently finished the first book, Never Mind, and sat down with fellow Patrick Melrose fan @BiscuitsLeGuin to discuss this novel. Squils: Thanks for sitting down with me, Biscuits! What did you like most about Never Mind? BiscuitsLeguin: I liked that it never became cliché. Patrick's father clearly likes power, but it was more than that. It was an experiment to see how much he could get away with, and it tied in to the eternal boredom of the rich. He got bored when he broke Eleanor, so he had to move onto Patrick, in the same way that that social class feels genuinely victimised when there aren't any good parties to go to. Oh, I also think it's super interesting that Patrick is a horrid little child. He's such a snob. That adds a really complex dimension that the TV show didn't have as much. S: What do you feel Edward St. Aubyn does differently than other authors? B: The different perspectives from paragraph to paragraph are definitely original. Most people do chapter to chapter but it really fits his lyrical sentence structure style the way all the perspectives blend together. It means that you're viewing it from the outside, because you have more information than any one character in any given scene. But it also means that you are engaged with all the characters, and see way more motivations than you would otherwise. S: Have you ever read a book like Never Mind before? B: In some senses. I've read books with multiple perspectives. Plenty of young adult romances have chapters alternating between the two love interests. No epic ensemble casts spring to mind but I probably have read something like that too. I've read books about child abuse before. One was called 'Until I Find You' by John Irving. It actually also had a mother figure in it that it was difficult to trust, though in my opinion did sink to cliché significantly more often. But yeah, not a stranger to sensitive issues, though that doesn't make it any easier. S: What do you feel like could have been done better, or different? What didn't you like about the book? B: So, I can't quite think of anything that could have been better for Never Mind, but in some of the later books Patrick continues to be a complete snob in very casual ways that are never really developed. Sometimes I get the feeling they may be classist opinions held by St Aubyn himself. Anyway, that caused me to have to suspend my own opinions for a bit and adjust for the source of where the story was coming from. It would have been smoother without those random classist comments. But then again, he wouldn't be Patrick Melrose if he wasn't a rich douche. I once described this series as "F Scott Fitzgerald with a conscience", so I guess you need to be a snob for that to work. S: Never Mind is the first book of a five-part series. Did reading Never Mind get you excited for the rest of the Patrick Melrose series? B: I was always going to read all five books, having seen all five parts of the TV show. Actually, I know you know this but your readers might be interested to know that the TV show switched the order of books one and two when they were releasing their episodes. Personally I think I prefer the TV show order because there's more suspense about what happened to Patrick to make him into the man he was, but I was very curious to know how this order was going to affect my experience. S: Would you recommend this book to other readers? B: Yes. But with a thousand trigger warnings. Like, everything is dealt with sensitively as far as I can tell. Or at least, maturely. It can be brutal and flippant, but the sensitive issues are never just plot devices exploited for sensationalism. Additionally, if you like F. Scott Fitzgerald, I cannot recommend it enough. S: Thanks so much Biscuits! Never Mind is a unique novel in that it deals with a very delicate subject matter in a very sensitive way. There is a content warning for rather graphic scenes (sexual assault, child abuse, etc.) and I would not recommend this book to anyone under sixteen years of age, but if you have the mindset to handle such content, I can not recommend this book enough. The Patrick Melrose novels are semi-autobiographical and based on Edward St. Aubyn's own life, growing up in the upper class of London with an abusive father and an absent mother. Never Mind, as the first novel of the series, starts with Patrick as a child, and focuses more on the dinner party his parents are hosting and the cast of friends attending said party. It is in this book that we get to witness first hand Patrick's relationship with his parents, and how this shapes him as an adult in the later books. So if you're looking for something new and different to read, consider Never Mind. It's quite unlike any other book I've read, and of the two books I've read so far in the series I've really really enjoyed. Thanks for reading this review and look forward to further reviews of this series! We love to run articles and questions, but we also love to advertise for you. Let people know about your new blog, a poem or story you’re looking for reviews on, or a forum thread you’d like more traffic on through Squills’ Shameless Plugs. PM @SquillsBot with the exact formatting of your advertisement, contained in the following code. Place advertisement here. Make sure you include a title! And now for this week's Shameless Plugs! Do you like competitions? Do you like easy ways to make extra points? Then read on! The #ReviewRampage is a competition hosted by @ShadowVyper and @Kirkiln that is a Go-At-Your-Own-Pace review challenge. You set your own review goals and wagers, then race against time to see if you can get done in time. Or, for the more competitive spirits out there, you can also duel against your fellow Rampagers. Go check out the Q&A Forum for more information and then head on over to the Entry Forum to claim your place as a Rampager. Want to be a part of Squills, the YWS newsletter? Perfect! We want you. You can find more information here, and you can apply now by sending a sample article to SquillsBot's PM. fishsashimi welcomes you to the YWS Hunger Games Simulator! Have some fun and win some prizes! PM @fishsashimi with any questions you may have. That's all folks~ Now send us yours. Find an enspoiler-ed a list of our subscribers! Do you, too, want to be enspoiler-ed and receive a personal weekly notification when the Squills newsletter is posted? Shoot a PM over to SquillsBot to let him know, and you'll be pinged along with the next issue!